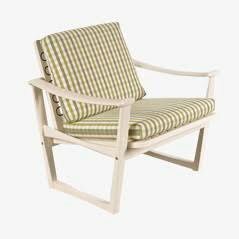 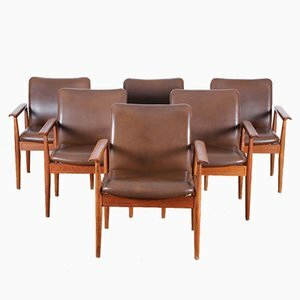 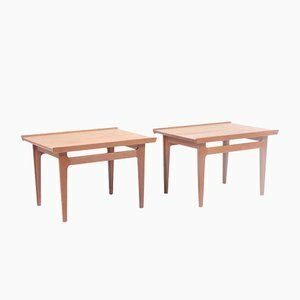 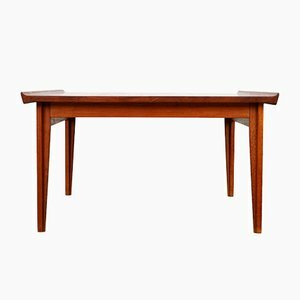 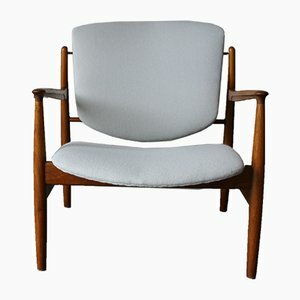 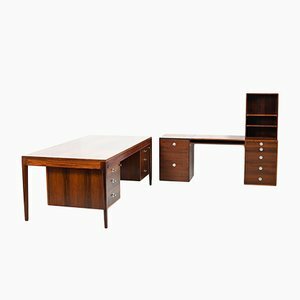 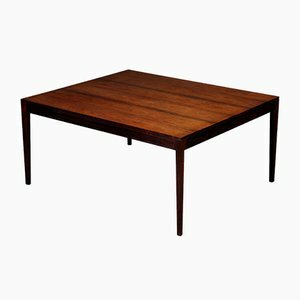 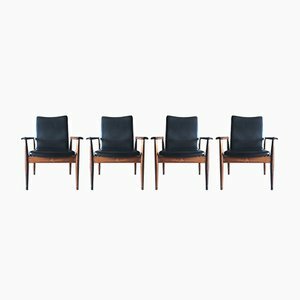 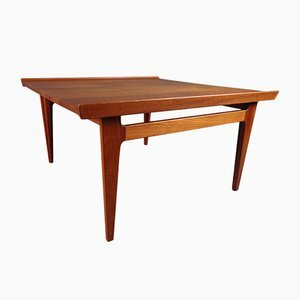 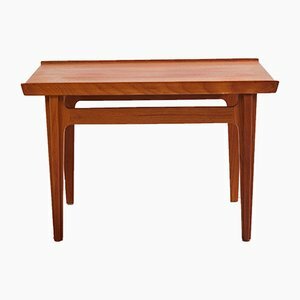 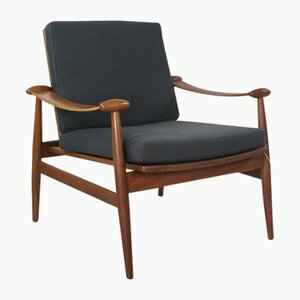 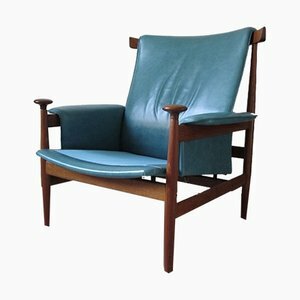 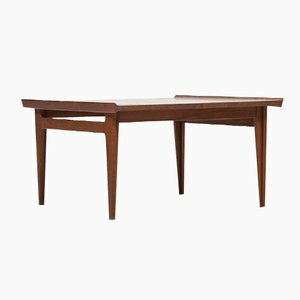 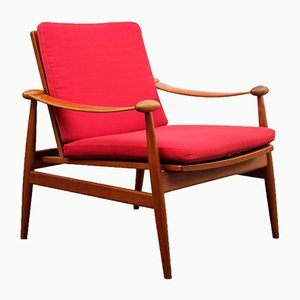 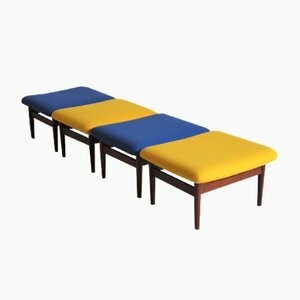 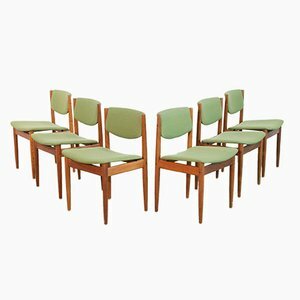 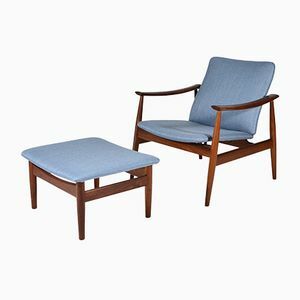 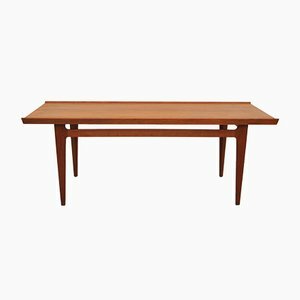 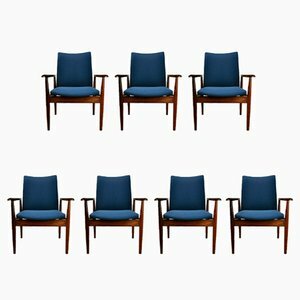 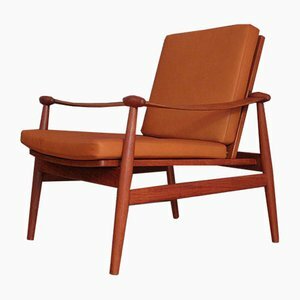 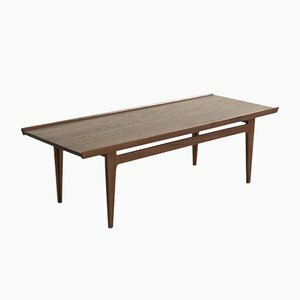 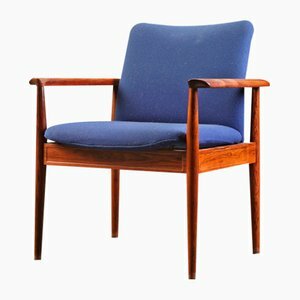 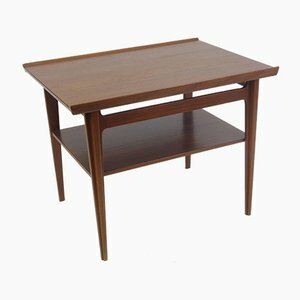 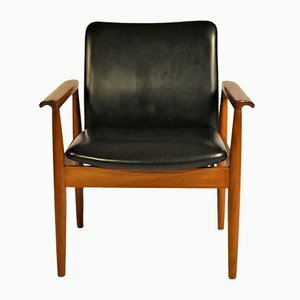 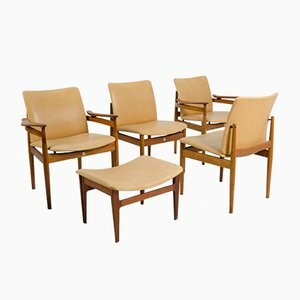 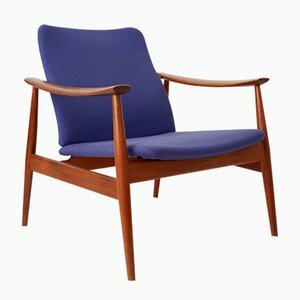 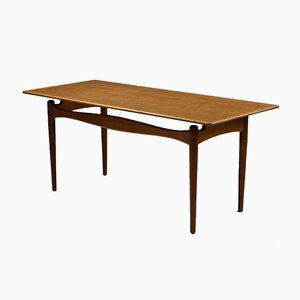 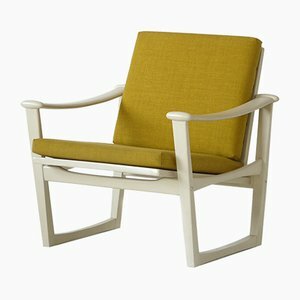 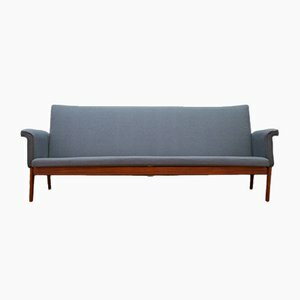 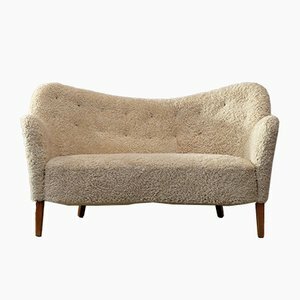 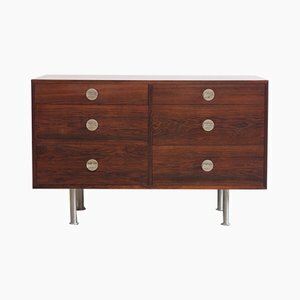 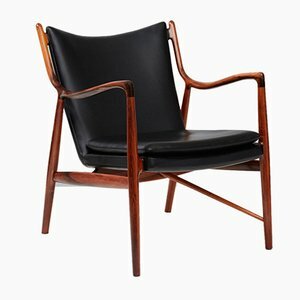 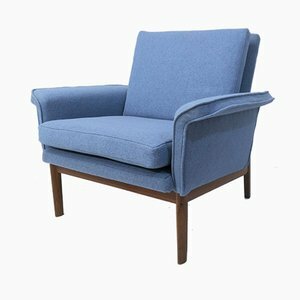 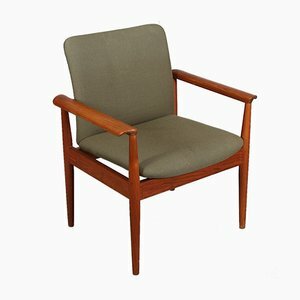 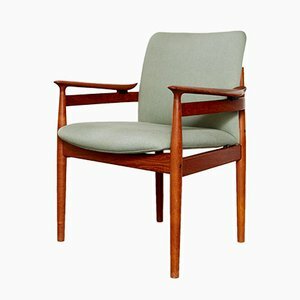 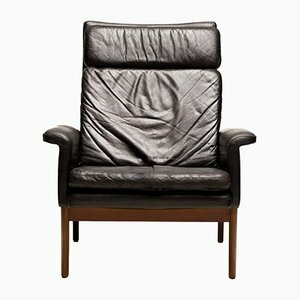 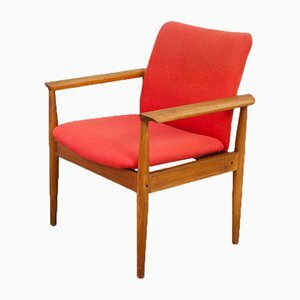 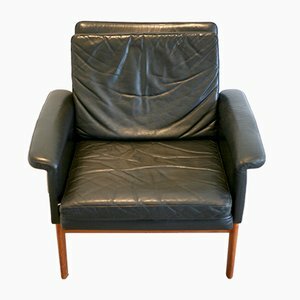 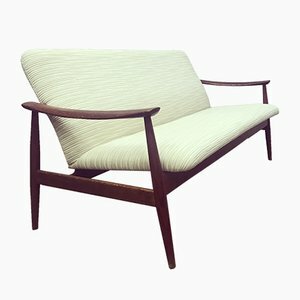 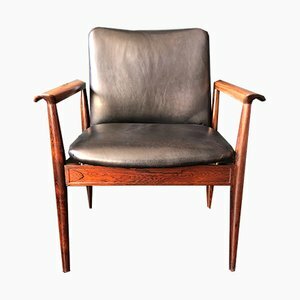 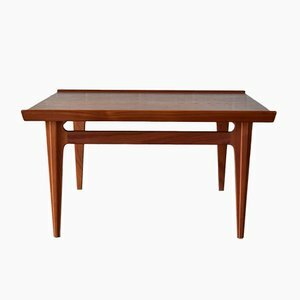 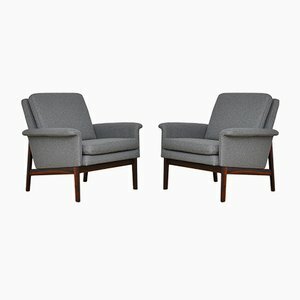 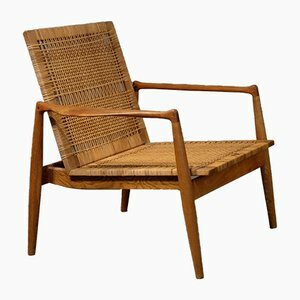 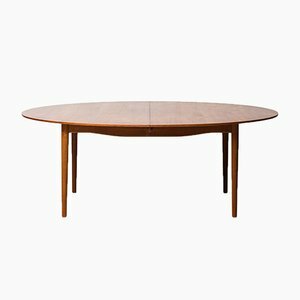 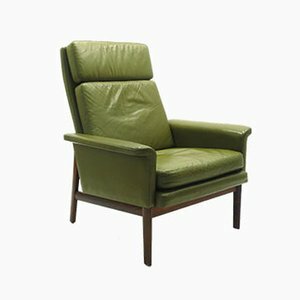 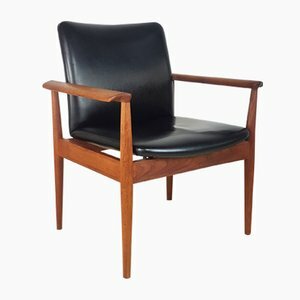 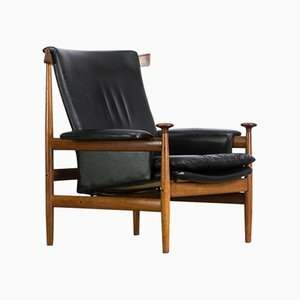 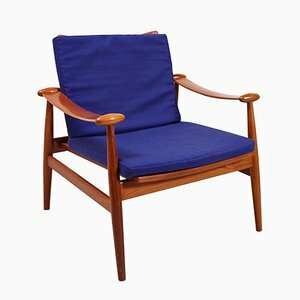 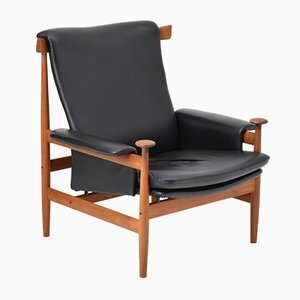 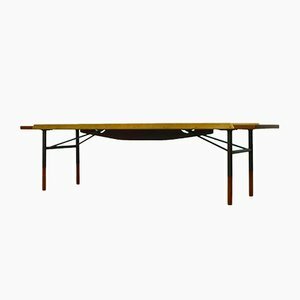 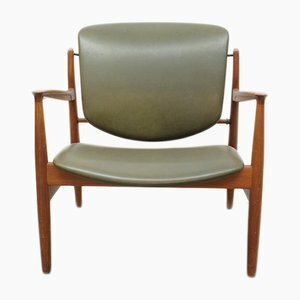 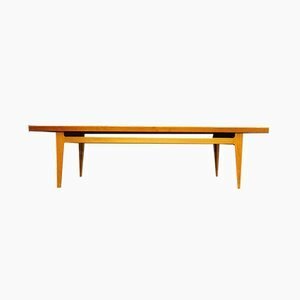 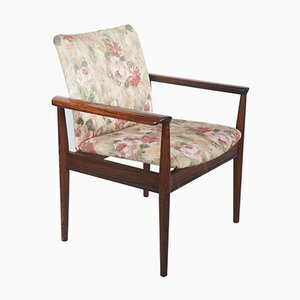 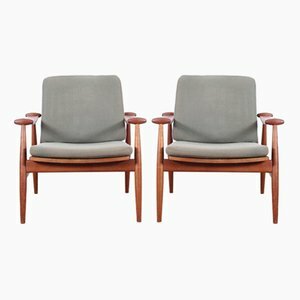 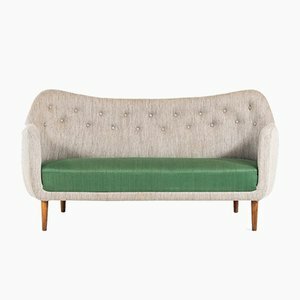 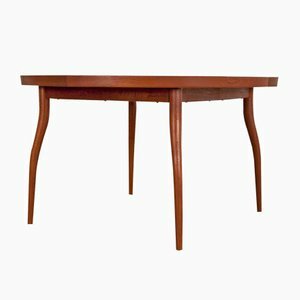 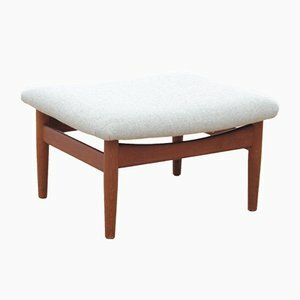 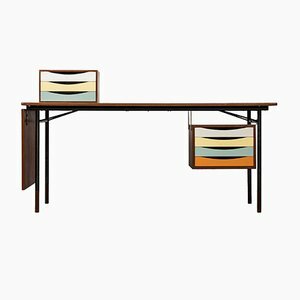 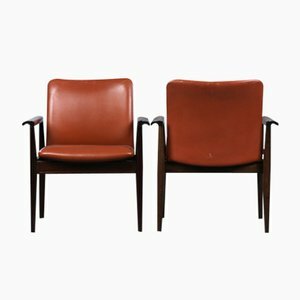 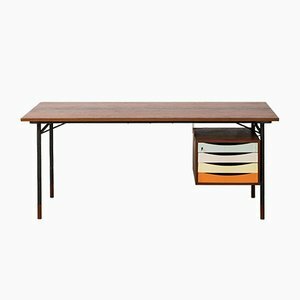 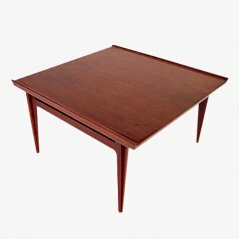 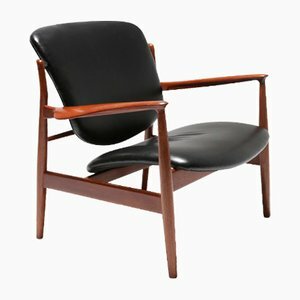 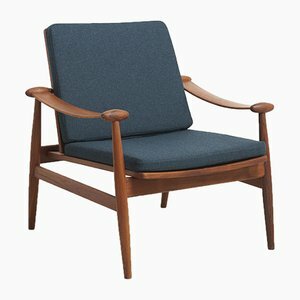 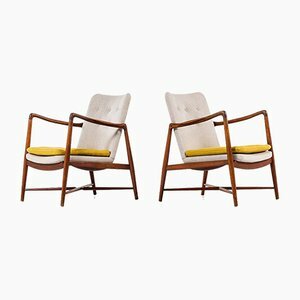 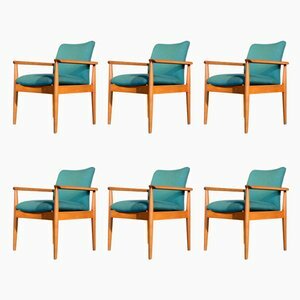 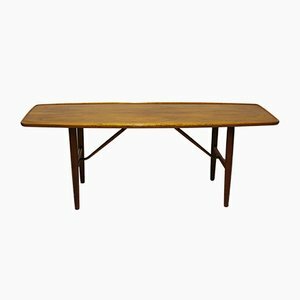 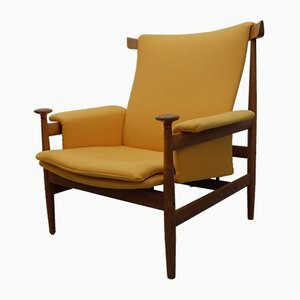 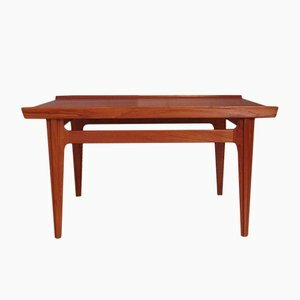 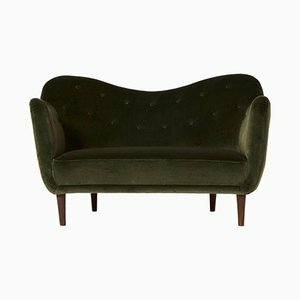 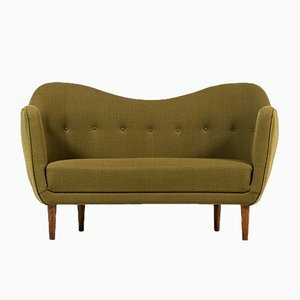 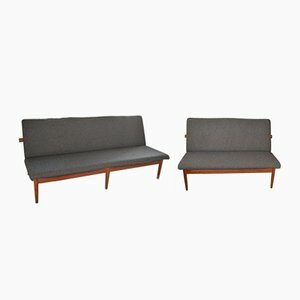 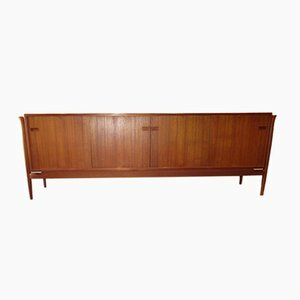 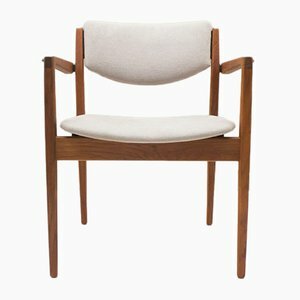 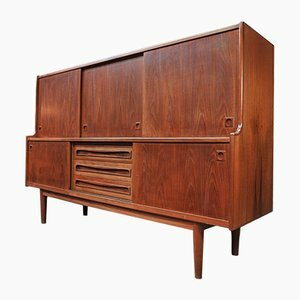 Born in Denmark in 1912, Finn Juhl studied architecture at the Royal Danish Academy in Copenhagen. 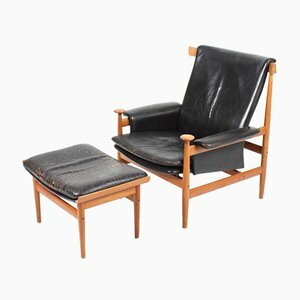 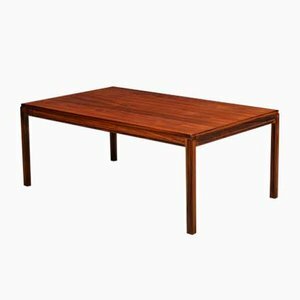 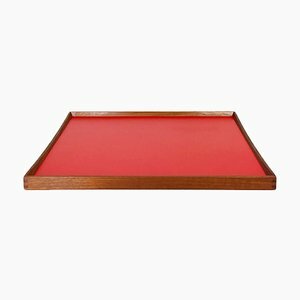 After graduating, he worked for ten years in the office of Vilhelm Lauritzen, a leading Danish Modernist architect. 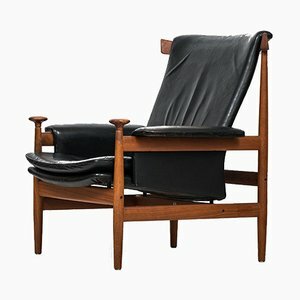 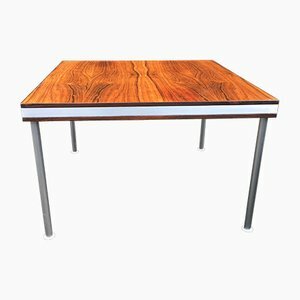 In 1945, he set up his own practice, specializing in interior and furniture design. 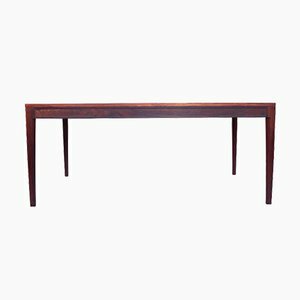 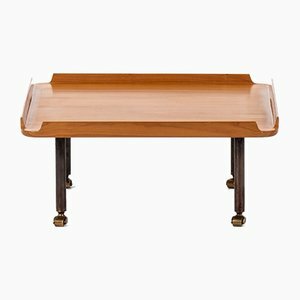 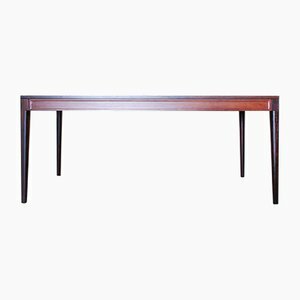 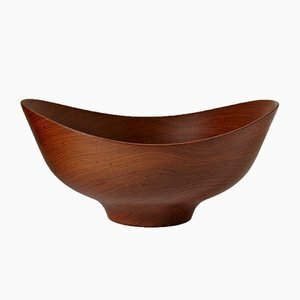 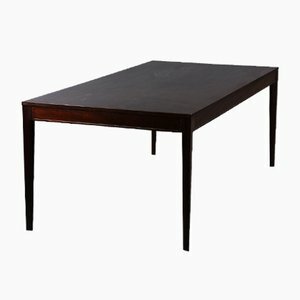 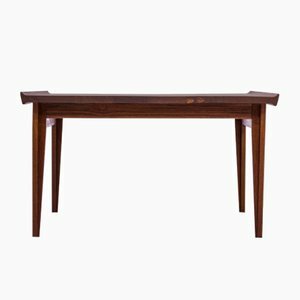 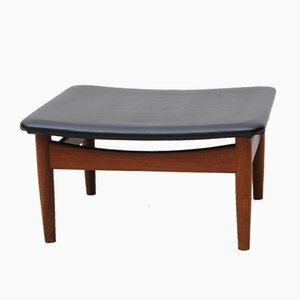 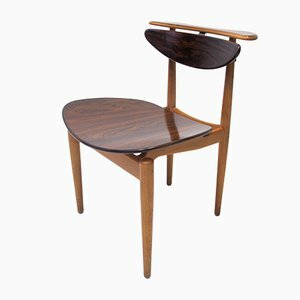 Juhl created design forms with the mindset of a sculptor and much of his furniture was technically ahead of its time. 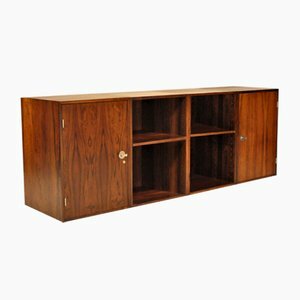 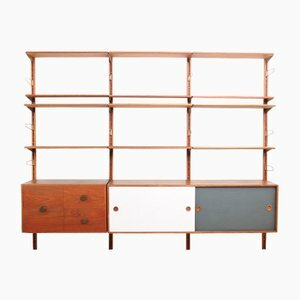 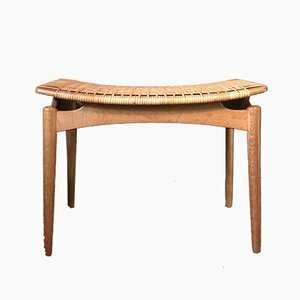 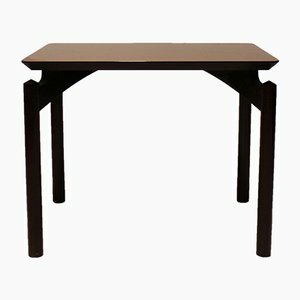 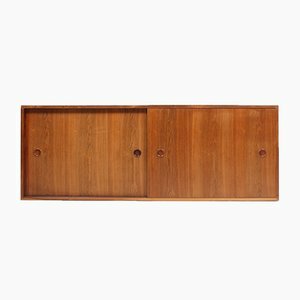 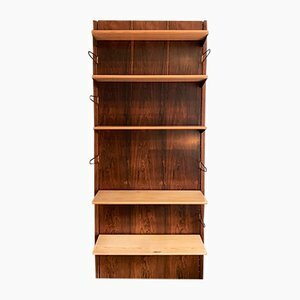 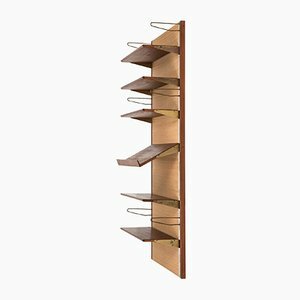 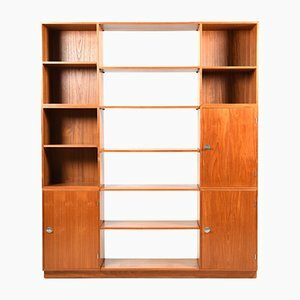 Juhl’s career blossomed through his participation in the annual Copenhagen Cabinetmakers’ Guild exhibitions, nationally sponsored events that supported design innovation through collaborations between young architects and traditional cabinetmakers. 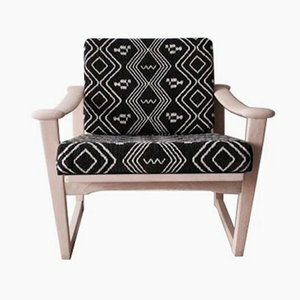 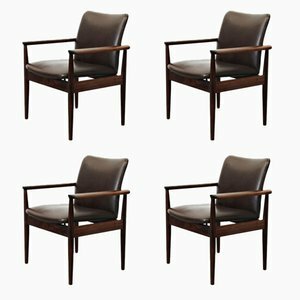 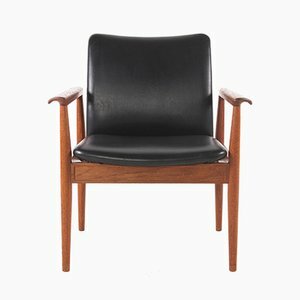 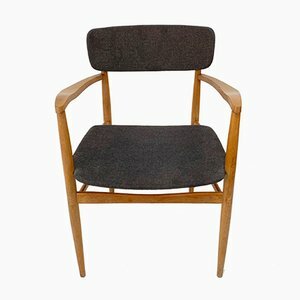 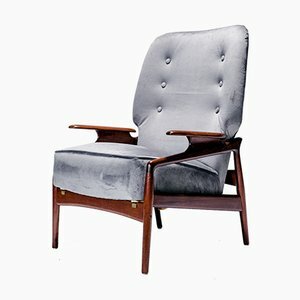 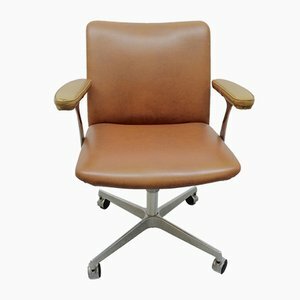 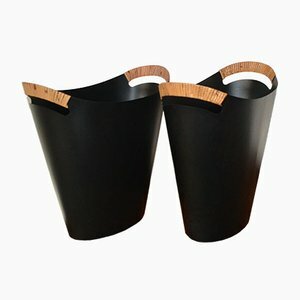 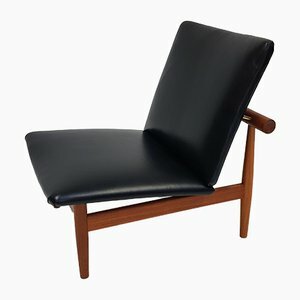 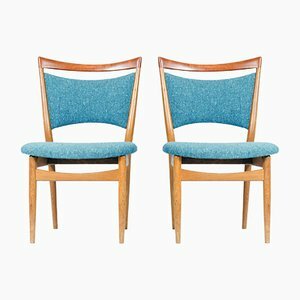 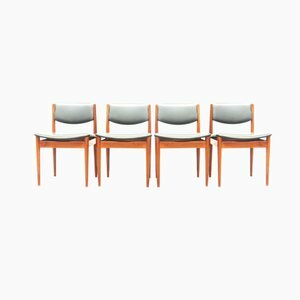 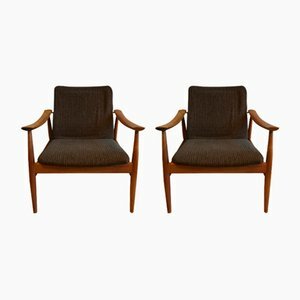 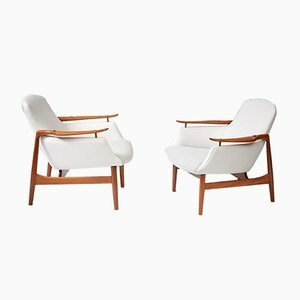 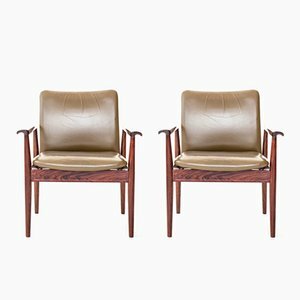 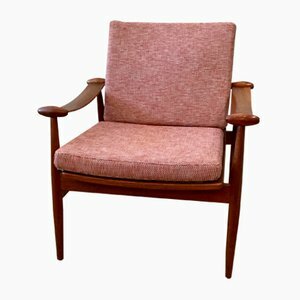 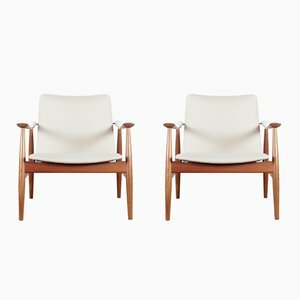 Juhl found great success in his partnership with craftsman Niels Vodder, and together they created a number of important works, such as the Pelican Chair and the Chieftain Chair.